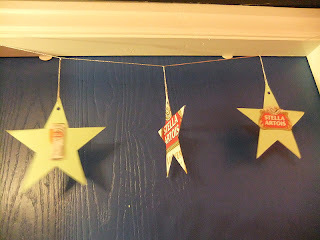 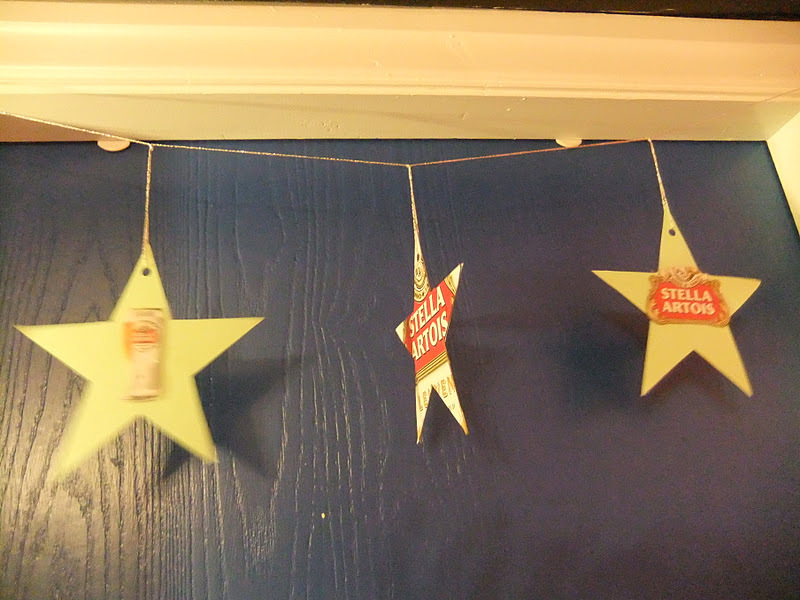 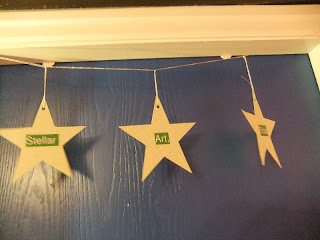 Just a little decoration I made for Alun out of a Stella box. 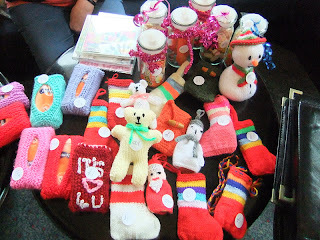 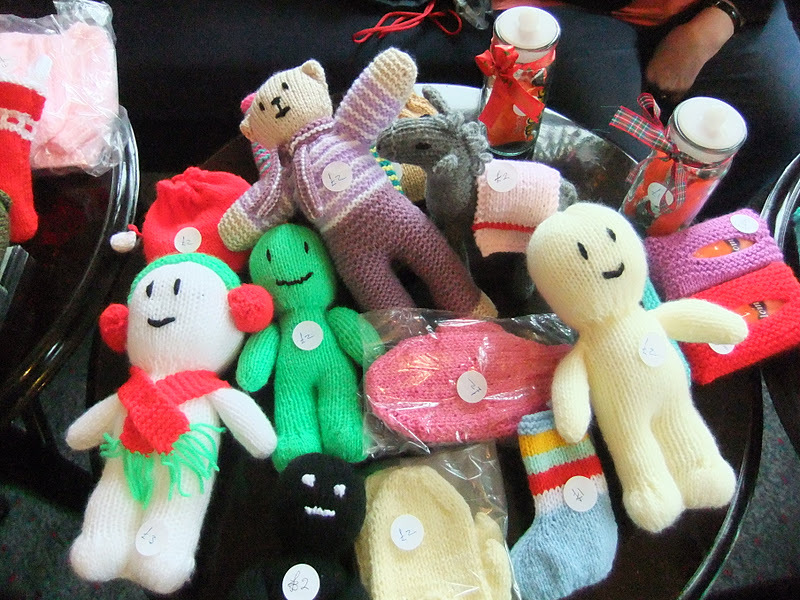 A collection of knitted goods on the tables ready for the craft fair to commence. 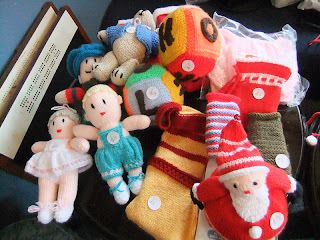 All my little knitted puds had already sold before I got there.